16 - 18 year olds require parental permission. The medical form cannot be older than 3 months from course start date. Bring the completed medical form when starting your course. You will not be able to start jumping without it. 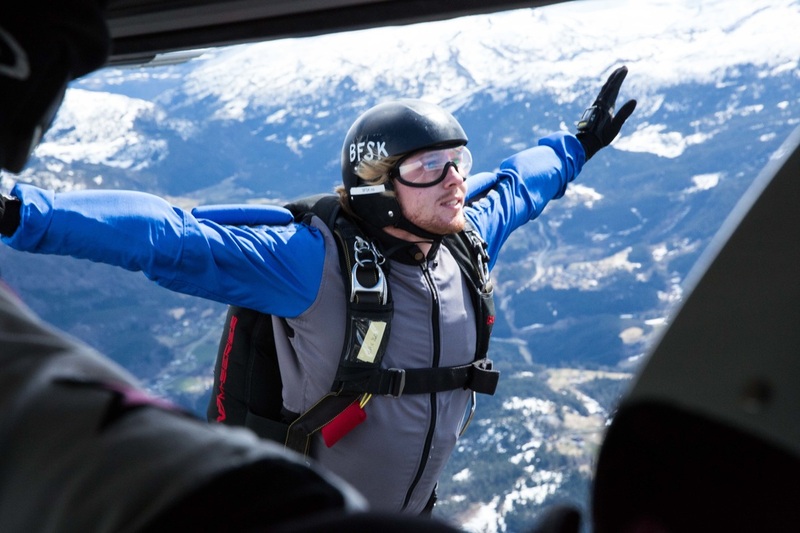 After completing the exams on day 2, you will do your first skydive on day 3. Day 2: Ground school, wind tunnel, practical and theoretical exam. Day 3-7(6): Jumping – see info: AFF-level 1.-7. Many students choose to stay longer than the course week to continue the progression towards their A-license. Finished AFF 1.-7., whats next? Most courses run from Friday to Friday, with ground school on the first two days. Absence is not permitted from the ground school. We recommend that you stay for the whole week, it gives you a better chance of finishing your course and getting some level 8 jumps in. This is the week we have put aside instructors specifically for you, and your course group. 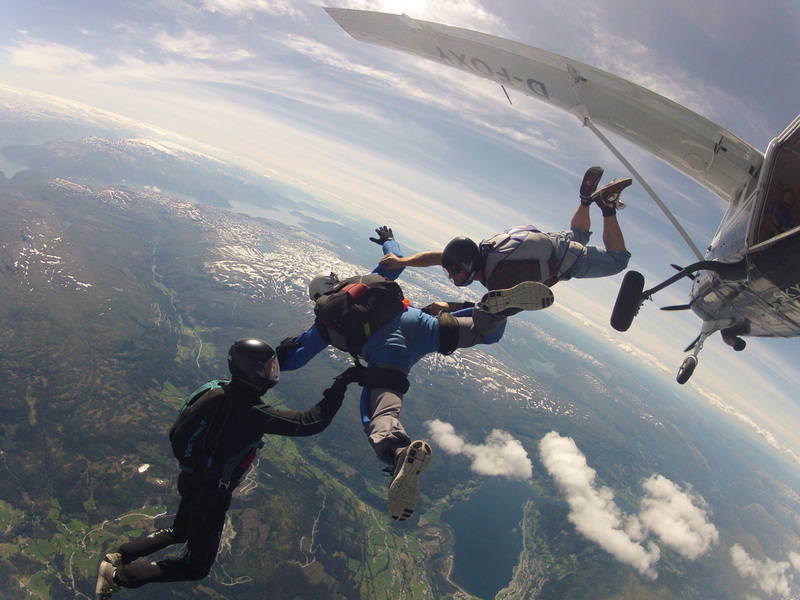 The drop zone is located at Bømoen airport, about 5 km from the town of Voss. See directions for how to find us. This is where you will stay, learn and jump the whole week. You share the facilities with others staying at the drop zone. If you prefer to camp, this is possible with a returnable deposit (returned when camp site is cleared). Stay longer if you like, but make sure to book extra nights in the bunkhouse as early as possible. There are great outdoor and recreational areas around the airport, common room and film room. The drop zone café serves breakfast, lunch and dinner. Contact us for booking of accommodation outside the course week. The club provides the student gear. Student rig (harness, parachute, reserve parachute and an automatic activation device). We recommend that you bring loose and warm clothing for ground school and jumping. Rain gear in case of outdoor ground school training. Bring a pair of gloves, and shoes with ankle support. A pair of sneakers or trainers will do. 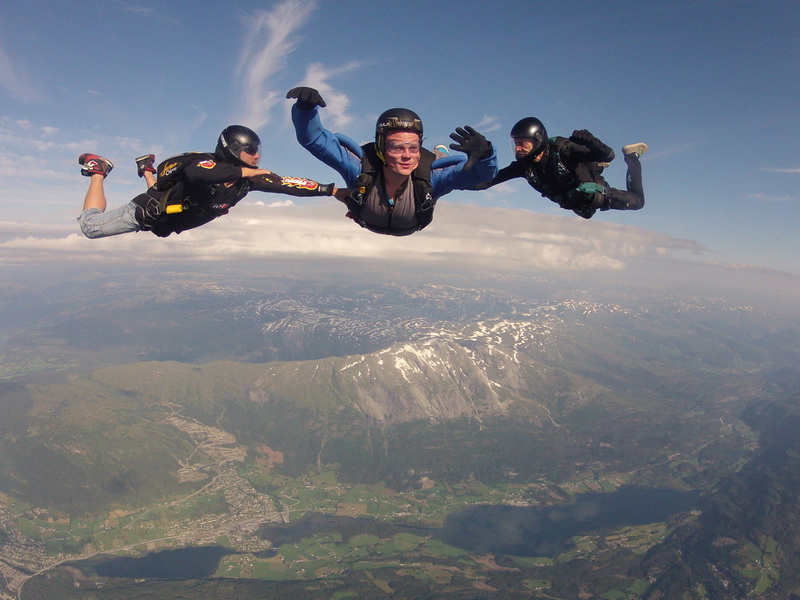 Skydiving is a weather-dependent activity. Western Norwegian weather can be unpredictable and can change in a relatively short period. Rain, winds and turbulence can create unfavorable skydiving conditions. The safety restrictions for students are strict. If you don`t get to finish your course jumps by the end of the week, you are welcome to stay longer or come back later in the season. If the weather is bad, we`ll organise packing courses and exams. For those who want to fly extra in the wind tunnel, we can arrange more time and coaching.